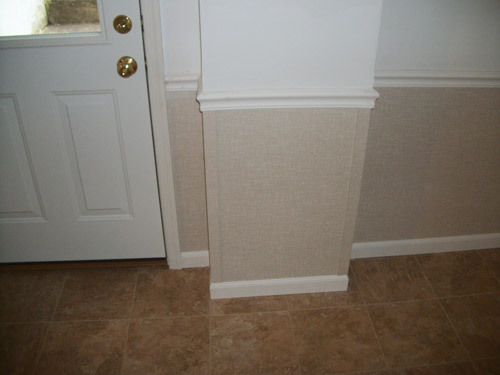 Home»About Us»Blog»Wet Drywall in Your Basement? We Have a Solution! A wet basement is more than just a headache. If you have carpeting, drywall or framing, any kind of moisture can ruin these materials and create a risk for basement mold. With the EverLast Wall Restoration System, your basement walls can be restored without having to rip out your entire basement. It also offers a stylish alternative to traditional drywall, meaning your basement will look and feel cleaner, drier, and more attractive. EverLast is intended to replace the bottom portion of drywall - the part that usually gets soaked in a basement flood. Your technician will simply cut out the wet existing drywall and install the EverLast Wall Restoration System. Because EverLast is made out of non-organic materials resistant to mold and designed for the basement space, you won't have to worry about deterioration if your basement gets wet again in the future. This drywall restoration system also works alongside other basement waterproofing and basement finishing products, such as floor drains, flooring, and more. EverLast features a chair rail and base molding that seamlessly blends into a finished basement, complementing any aesthetic. If you're concerned about water ruining the walls in your basement, or if you're looking for a way to totally transform your basement environment, your local Total Basement Finishing company can help. Find your local dealer and schedule a free estimate today!